The 4.1 DJ Booth has been designed to hold 4 CDJ Pedestals and a laptop with space for a heavy weight mixer and two turntables. The 4.1 DJ Booth has been designed to hold 4 CDJ Pedestals and a laptop with space for a mixer up to 19″ width and two turntables. 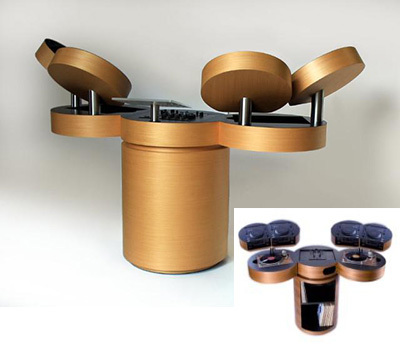 The number of Pedestals is configurable and you can select 1, 2 or 4. The laptop stand is also an optional feature. Please contact us if you’d like to discuss a different configuration. This particular booth was originally created for the 2009 Winter Music Conference and featured at the famous Nikki Beach. Please contact us if you’d like to discuss a different configuration.